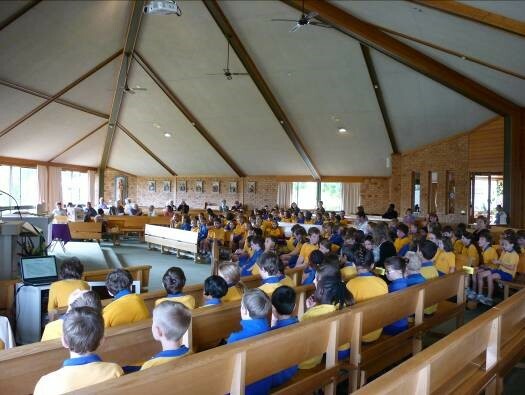 It is important to note that the parish has expanded in recent years and now consists of St Vincent’s Aranda and St Matthew’s Page. These parishes are collectively known as the South Belconnen Parish. Our Parish Priest, Fr Simon Falk, along with Fr Thomas Jin and Deacon Joseph Blackwell, are wonderful supporters of St Vincent’s School, visiting regularly, celebrating mass for us at the beautiful parish church across the road and always taking an active interest in the spiritual and pastoral wellbeing of children, staff and parents. Our Parish Sacramental Coordinator, Shahenie Burns, is also a great supporter of the school, working closely with families, children and school leadership team members to support the children in their sacramental life. Leah Molony, our parish secretary is always ready and at hand to liaise between the school and the parish.